Welcome to Maria's Art online store featuring hand painted glass ornaments and ceramics. These unique works of art are made and designed by artist Maria White in her store located at 317 E. 1st St., in downtown Monticello, Iowa. 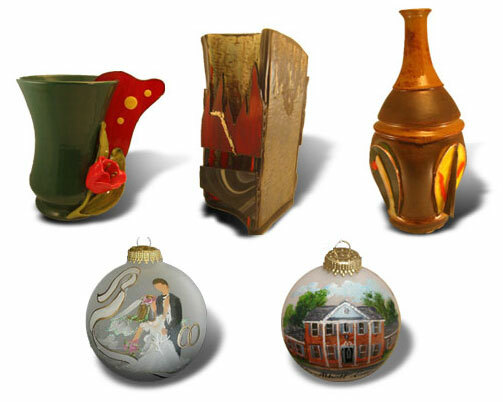 Each ornament is hand painted in artist oil.